Delicate light illuminates a gigantic iceberg on the edge of the Ilulissat Icefjord in Greenland. Greenland is a wild and remote country, but it's also very beautiful and, under the midnight sun, it's landscapes are absolutely epic. However, photographing under the midnight sun does introduce some potential difficulties, one of which is white balance. I spent around a week in Western Greenland, most of it in the tourist town of Ilulissat, on the edge of Disko Bay and the Ilulissat Icefjord. This photo was made during a long hike I undertook from around 9pm till about 5am the following morning. While physically difficult it was a truly great experience. While the weather was fine, it did get very windy at various stages of the walk. Beware! Tripods placed onto rocky ground become wind conductors and cause significant vibration, resulting in blurred images. You can feel this vibration by placing your hand onto one of your tripod's legs when photographing from a rocky platform under very windy conditions. It's a far better practice, where possible, to situate your tripod onto grass or, when working on softer ground, to achieve better stability for your camera by pushing your tripod's legs into soil, sand or snow. 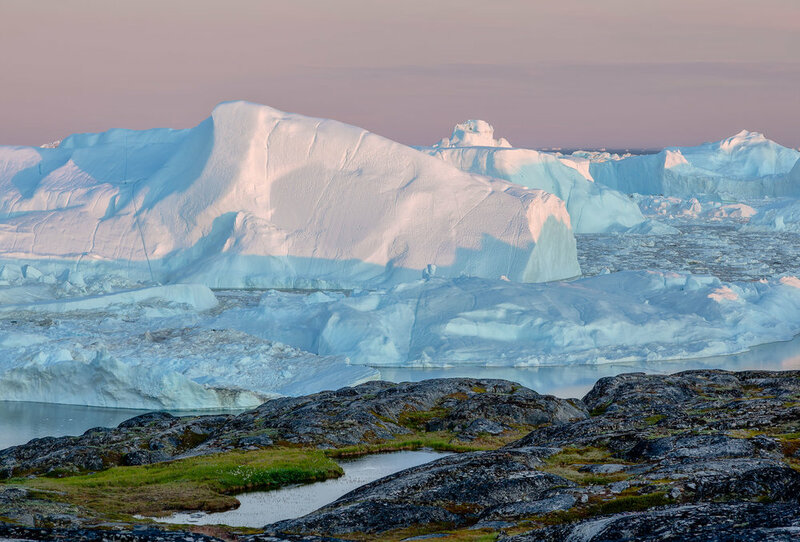 The Ilulissat Icefjord is magnificent and the colors produced by the midnight sun can be quite surreal. 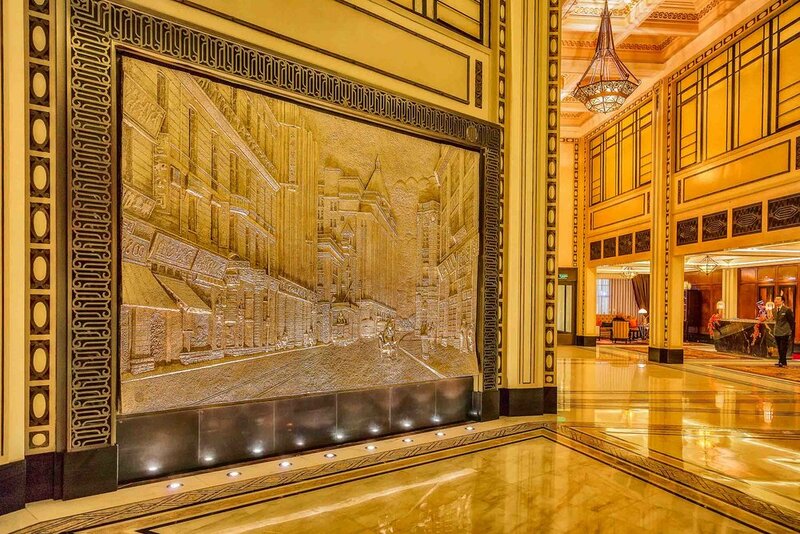 It's also vast and quite difficult to photograph. The icebergs are huge, some of them the size of large city buildings, and often so crowded together that it's hard to achieve a sense of scale and three dimensional space in the photos you make. In the case of the above photo I was careful to include some foreground subject matter to contrast light and dark, as well as smooth and textured areas, and to emphasize foreground, mid and background elements within the frame. The little patches of green grass help highlight the soft pink colors in the ice and sky. While it's true that icebergs can sometimes exhibit a strong cyan (i.e., aqua) color, in this case the cyan/blue in the icebergs is largely due to light reflecting from the blue sky above and behind me. 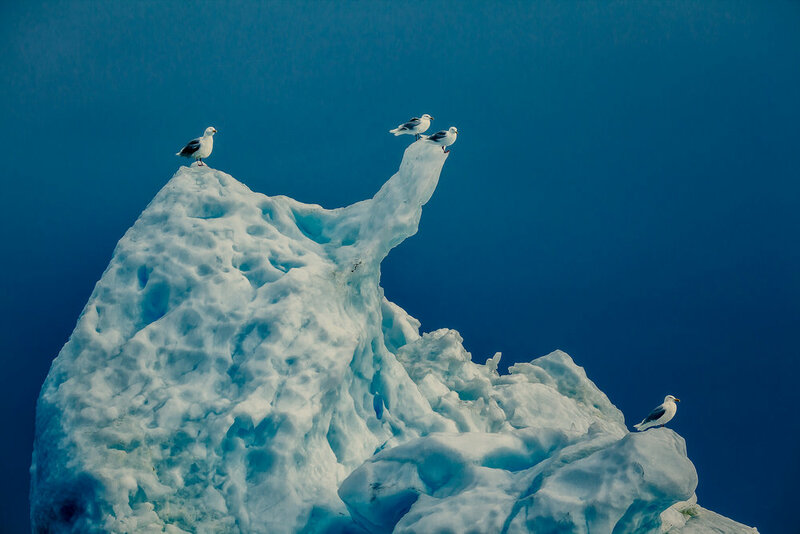 You'll notice that it's in the shaded areas of the icebergs where the cyan colored sky is reflected. And why should shadows on icebergs be any different to those falling on grass, rock, clothing or skin? In each case the color of the shaded area is influenced by the color of the sky that's being reflected into it. This is the reason why sunlit grass may photograph yellow/green while an adjacent, shaded area of the same grass will photograph a much cooler (i.e., bluer) shade of green. So why is it that most folks don't perceive such changes in color in the world around them? Why do most folks perceive a traditional white wedding dress, photographed in the shade under a clear blue sky, as being white when, in fact, it's not? At best the wedding dress's appearance has shifted to a cool white, due to the bluish color of the sky that's being reflected into it. This is also why, without the appropriate white balance, that dress will usually photograph as a cool, rather than a neutral, white. We see this cooler white; we're emotionally effected by it; but, as we don't quite believe it, our brain neutralizes the color that we see. This is just one way in which we create our own reality. Our brain is constantly trying to white balance most scenes so as to make them look more neutral in color and, thereby, re-align them to more closely match our perception of how the subject should actually look. There are two distinctly different color temperatures in this scene. The fact that there is both cool blue dawn light, coming through the gap between the blind and window frame, and warm yellow/orange Tungsten (i.e., Incandescent) light preventing my old iPhone 6 plus camera's auto white balance from neutralizing the color of the light and recording the scene the way most folks would expect it to look. Have you ever photographed a kitchen or bedroom at night under Incandescent (i.e., Tungsten) lighting? Let's say the kitchen is full of white goods and has white bench tops and a white tiled floor. Will those white areas actually photograph a neutral white or will they be adversely affected by a color cast emitted from the artificial Incandescent lighting? It all depends on the white balance to which the camera has been set. Auto White balance will usually do a pretty good job neutralizing the strong yellow/orange color cast from the Incandescent light. Likewise, manually setting your camera's white balance to Incandescent (i.e., Tungsten on a Canon or Olympus camera) should also do a good job under these circumstances. That is, assuming it's night time and the only light source your camera has to deal with is Incandescent. If it's dusk and you have a combination of cool blue light from outside mixing, in relatively equal proportions, with the artificial Incandescent light inside then it's considerably harder to achieve a neutral colored result. As your camera corrects for the color of one light source the other will be amplified. This problem is manipulated to positive effect in a lot of real estate photography where a room looks quite naturally lit and the light outside seems unusually blue. Take a look at the above iPhone image of a rain damaged blind and surrounding wall in my bedroom. 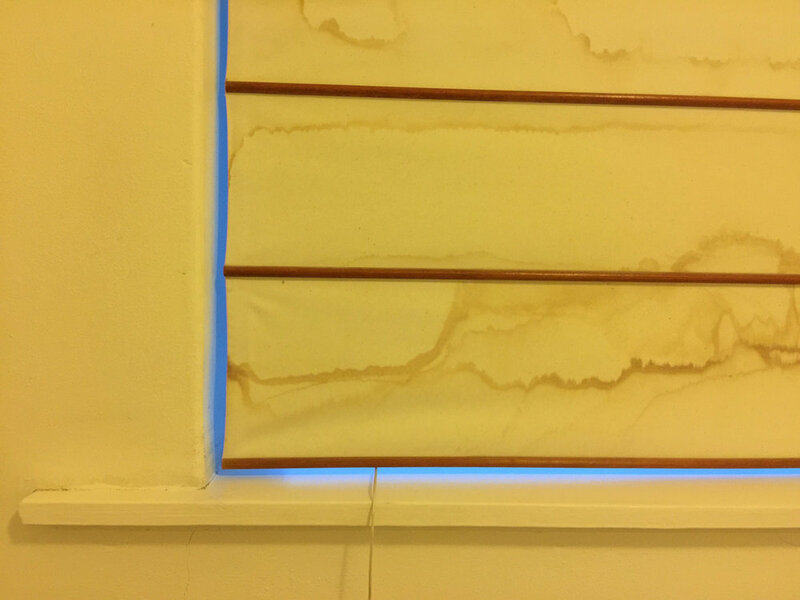 Can you see the heavy yellowish color of the interior light contrasting with the intense blue light of dawn visible through the gap between blind and window frame? It's fascinating, don't you think? To accurately show both of these contrasting colors I set my camera's white balance to Sunny, which is called Daylight or Direct Daylight on some cameras. Why? Because that's the setting that effectively turns the camera's white balance off and shows you the actual color of the light under which you're photographing. Try making a few photos in the kitchen at night, without the flash, and with your camera set to a Sunny (i.e., Daylight or Direct Daylight on Nikon cameras) white balance. In doing so you'll effectively be turning white balance off and, thereby, allowing the camera to actually record the true color of the light present in the environment in which you're working. Depending upon the exact color temperature of the lights in question you can expect a very yellow or yellow/orange result. But why would you do such a thing? Simply as a learning exercise to allow you to see the actual color of the light under which you're working. By doing so you'll begin to prove to yourself that our own perception of reality is flawed, in this case by your brain effectively white balancing (i.e., neutralizing) the color of the light under which you're photographing. 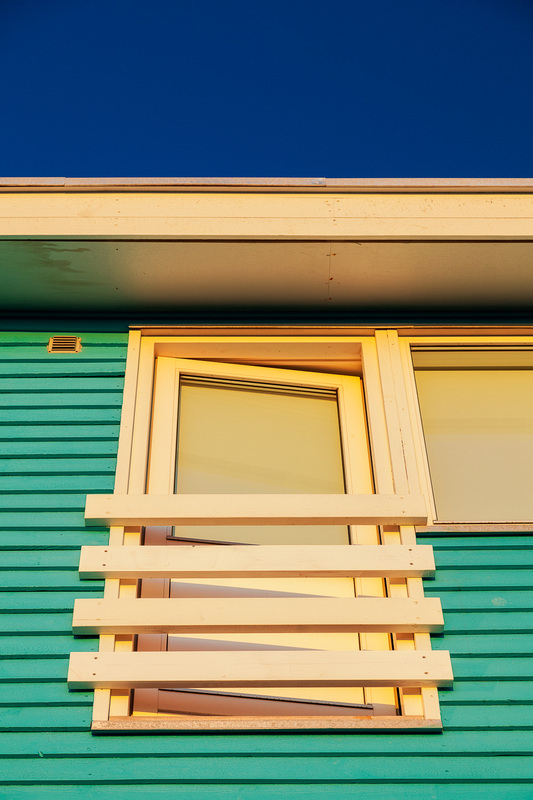 Color temperature is an amazing gift for the color photographer. But before we can work with it we first need to understand it. And to do that we have to begin to see the actual color of the light and how it effects the world around us. It's an amazing journey and there's hardly a day goes by without me marveling at the changing color of light throughout the day and from one side of the street to the other. 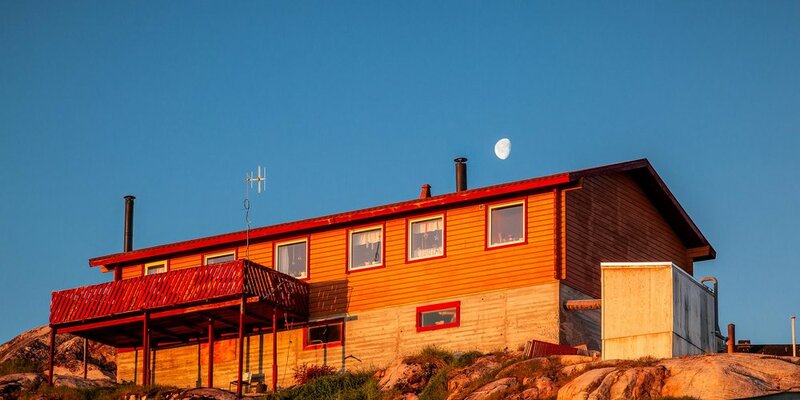 A house, glowing in the warm light of sunrise, in the town of Ilulissat, Greenland. In the days of film-based photography, particularly with color transparency (i.e., slide) film, you could employ an 80A Color Conversion filter to neutralize the color emitted from Tungsten lights. For scenes where the color of the light was not so extreme a more subtle deviation from white or neutral colored light would occur. Back then I'd employ one of a range of Light Balancing filters. My favorite was the 81B filter, which remained on my camera, in place of a UV or Skylight filter, for almost all of my outdoor photography. These days I set the white balance on my Sony a7R II camera to Cloudy to achieve a similar result when photographing under predominantly daylight lighting conditions, including portraits made with window light. Incidentally, I used the same setting on my previous Nikon D800e and Canon 5D and 5D Mark II cameras and also on my Leica M9 camera. It works and it's something you might like to try. Under certain circumstances the Cloudy white balance still won't neutralize all of the bluish light. In that case set your camera to the even stronger Shade white balance setting. This article is focused around what's referred to as correct white balance when you're able to neutralize the color of the light so that things photograph the way most folks expect them to, at least in relation to color. But sometimes you need to be more concerned about achieving a white balance that's appropriate to the scene you're photographing and the mood you're trying to evoke from your audience. In the case of the image made flying over the ice in Greenland I wanted to accurately convey the cold, stark beauty of the landscape. That required an accurate rendition of the color of the light which, as you can see, was very aqua blue in color. I'd refer to this white balance as being appropriate to my intentions. It's also worth noting that while the notion of correct white balance is true for portraits, buildings and landscapes so too is the notion of appropriate white balance. That’s because sometimes mood is more important than neutral rendition of color. A group of elderly women dancing in the grounds of the Temple Of Heaven, on a winter's day, in Beijing, China. I'm Caucasian and the color of my skin is quite pinkish. Some folks have olive colored skin and some quite yellowish color skin. Over the years I found that many digital cameras often amplify skin color. Generally speaking that’s not a good thing, regardless of the ethnicity of the person you’re photographing. If the primary subject of your image is a portrait then it's important to consider whether it's appropriate to be warming up the color of the light with a Cloudy or Shade white balance as that may result in overly warm skin reproduction. Because of racism a lot of folks are, quite reasonably, self-conscious of how their skin reproduces in photos. If you sense that this is likely to be an issue you might consider opting for the Sunny/Daylight/Direct Daylight balance on your camera so as to reduce the warmth of your subject’s skin in the photos you make. In such circumstances you'll usually find that the success of the image is more likely going to be dependent upon the reproduction of your subject’s skin than the color of the surrounding environment. As I said previously, I’ve observed that many digital cameras have a tendency to amplify skin color. This is why, in addition to the white balance issue I’ve just outlined, I often reduce the saturation of skin when making portrait photos so as to achieve a more pleasing result. I'II leave the details of how I go about doing that for another day, though there are different approaches that I'd recommend based upon whether you're photographing in RAW or JPEG mode. Is There An Advantage With Auto White Balance? My home for the night. A room with a view in Ilulissat, Greenland. Most folks leave their camera on the Auto White Balance setting simply because they either don't want to have to think about such things when making photos or they don't know any better. There are others who prefer to trust their camera knowing that they can tweak the results on the desktop. Under most circumstances that notion is probably reasonable for folks working in RAW, but not at all a good idea for anyone photographing in JPEG mode. That's because white balance is basically baked into a JPEG image and, while you can adjust white balance on the desktop, you may not be able to completely neutralize poor white balance on a JPEG file. And that's true whether it resulted from poor in-camera Auto White Balance or an incorrect Manual White Balance adjustment made, in-camera, by the photographer. There are times when Auto White Balance (i.e., AWB) makes sense, for both RAW and JPEG photographers. For example, if the correct white balance setting is somewhere in between Daylight and Cloudy, Cloudy and Shade or Incandescent and Fluorescent it's quite possible your camera's Auto White Balance will produce an acceptable result. The midnight sun contrasts the local cemetery against a view of houses and factories in Ilulissat, Greenland. However, we're not always wanting to neutralize the color of the light. Sometimes we're trying to embrace it as it's the primary reason why we're making the photo in question. Think of a spectacular sunrise. How could your camera possibly know you're photographing a sunrise, unless you set it to one of those insane camera presets (called Scene Selection Mode in some cameras) which, by the way, stop you from overriding the cameras metering and subsequent (often inaccurate) exposure. So when would you actually use the Sunny/Daylight/Direct Daylight white balance? When you want to record the color that's actually there. That's why the Sunny while balance setting is often my starting point for photographing the city at night, an amazing sunrise or a beautiful sunset. This approach should stop your camera, not knowing it's a sunset or that you're wanting to record the color of those neon lights, from trying to neutralize the color of the light. It's exactly the same scenario when there's a nice mix of warm and cool colored light within the same scene, as was the case with the photo of the cemetery in Ilulissat, Greenland directly above. That photo was made on Daylight white balance, but not because it was daylight. Take a look at the hills in the background of that photo. On one side they're bluish and on the other side they're reddish. Correcting or neutralizing one color would have amplified the other. And, in any case, the contrast between those two colors helps to separate, both visually and emotionally, those areas of the image. If you do decide to set your camera to Cloudy as the default for your outdoor photography, don't forget to change your white balance when working under predominantly Incandescent/Tungsten lighting. Otherwise you'll end up with an image displaying an extremely orange color cast. I hope this article helps, though I suspect it’s one you’ll need to read several times before all the information makes sense. If you live in or around Melbourne, Australia and you'd like to catch up for a private one to one photography class you can contact me here.